A Mural is a perfect way to add character to a wall. 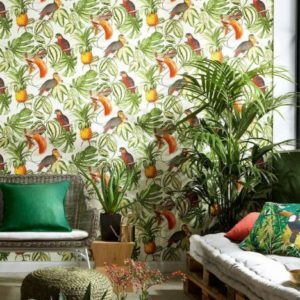 If you’re looking for a statement piece, with colour, texture, character and everything else in-between, then we have a beautiful selection of murals that will transform your feature wall into a something spectacular. More refined than a wallpaper and definitely more interesting than a coat of paint, adorning a wall with an oversize flower or a work of art is a shortcut to making a room something to marvel at.